RULE THE TRACK. 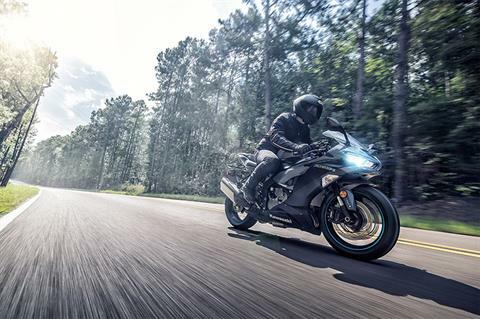 RUN THE STREETS. 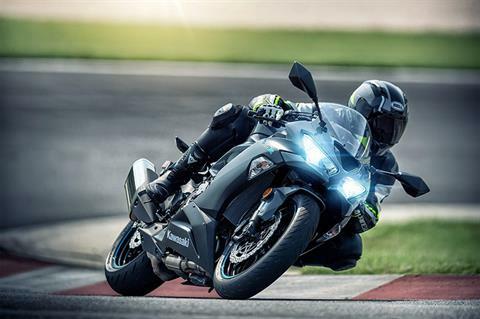 POWERFUL BRAKES: Kawasaki Intelligent anti-lock Brake System (KIBS) ABS featuring dual 4-piston monobloc front brake calipers grip 310mm petal discs to deliver smooth yet powerful braking performance to help hit apexes with precision and maintain a proper line through turns. 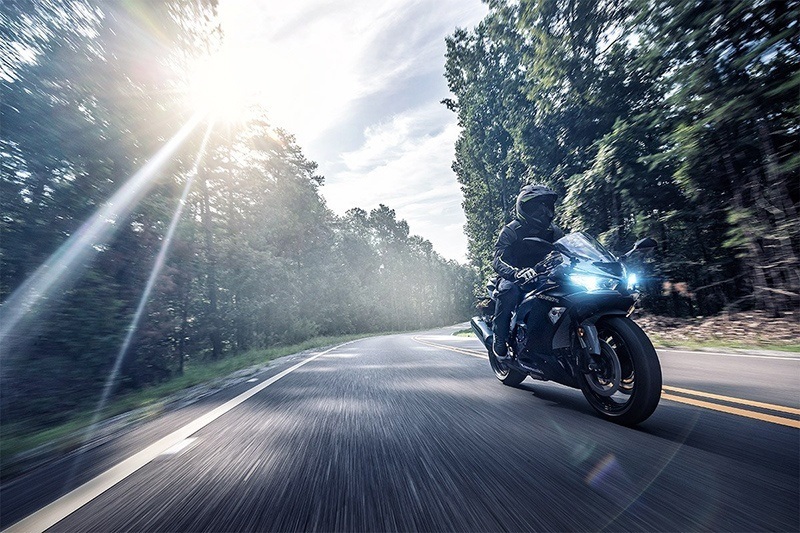 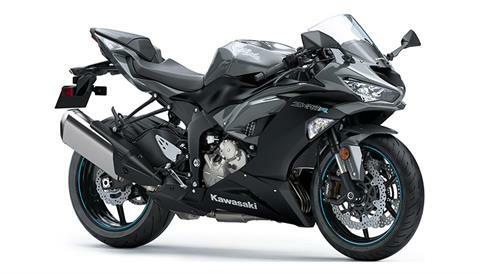 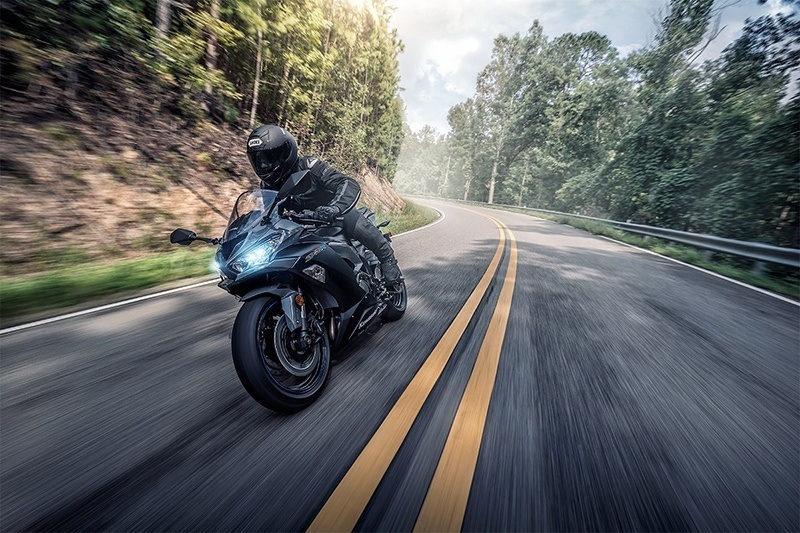 OVERCOME ELEVATION: On or off the track, stay grounded and in control when taking on elevation changes with the race-inspired power, performance and technology of the Ninja® ZX™-6R supersport bike. FRONT COWLING AND WINDSCREEN: An front cowling and windscreen design represents the next step in the evolution of Ninja® motorcycles, creating more distance from the competition. 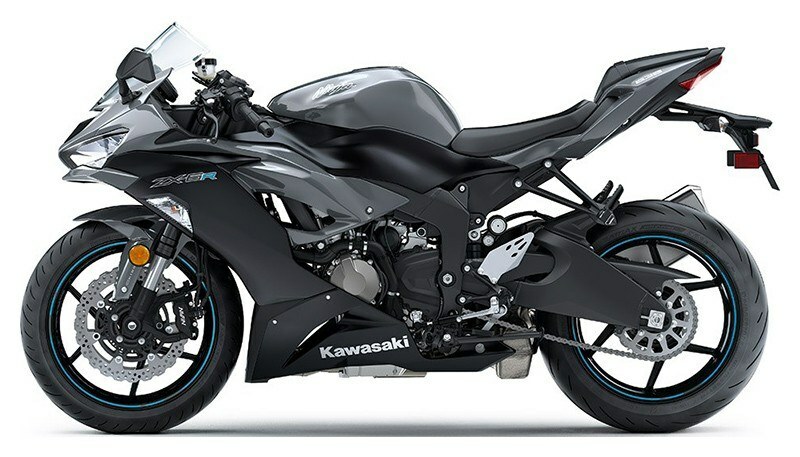 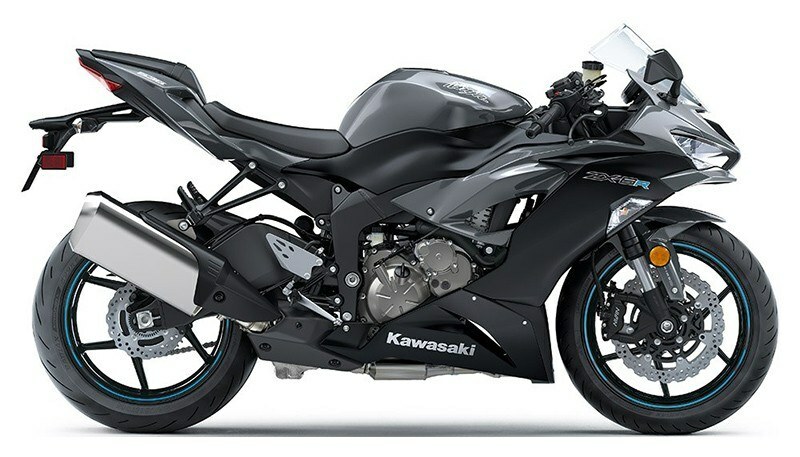 MUFFLER: Features a finishing treatment and a designed end-cap, adding to the sporty look of the Ninja® ZX™-6R supersport bike. 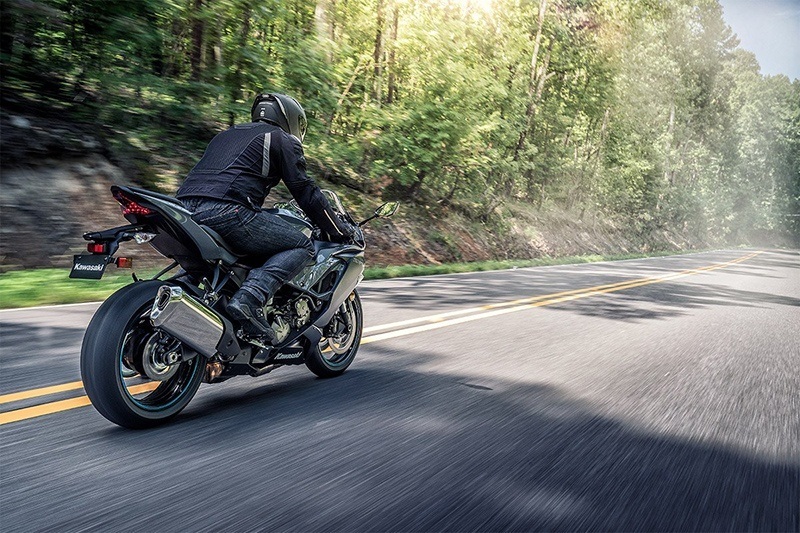 HEEL GUARD: Heel guard design complements the bike’s dynamic lines.